Clifton Trade Park is perfectly located being just minutes from the M55 motorway and main Blackpool access routes making it ideally situated for access to Lancashire and the wider north west region. 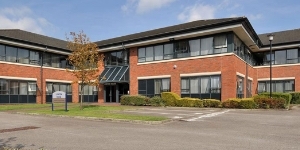 Clifton Trade Park is positioned centrally on the well-established Clifton Road Industrial Estate. The estate has excellent transport links via Clifton Road and is located close to the A5230 which leads to Junction 4 of the M55 approximately one mile east of the subject property . the property is accessed off Brinwell Road to the north and is on the west side of Cornford Road. Blackpool is located on the Fylde Coast in the North West of England, situated approximately 15 miles to the west of Preston, 45 miles north of Liverpool and 50 miles north west of Manchester. Blackpool has excellent road communications situated next to Junction 4 of the M55 Motorway, providing direct access to the M6 and the wider regional and national motorway network. Furthermore, Blackpool North railway station provides a direct service to Manchester (1 hour 15 mins), Liverpool (1 hour 25 minutes) and Preston (25 minutes). Blackpool Airport is located near to the estate offering a variety of routes. The Port of Fleetwood is situated nearby on the edge of Morecambe Bay. 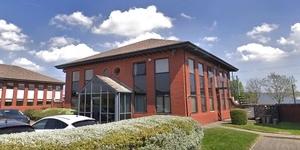 Clifton Trade Park comprises a modern self-contained multi-let estate on a site of approximately 1.69 acres. The estate provides a mixture of trade counter and industrial units with some office / studio space split over two main terraces. 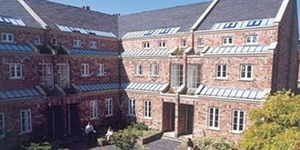 The original terrace was constructed in the 1990's and provides 5 units totalling 13,350 sq ft with 12 self-contained offices to the first floor totalling 8,192 sq ft. 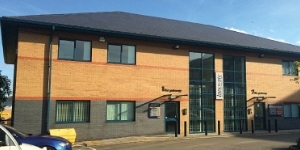 The second building was constructed more recently in 2005 and comprises seven single storey steel portal frames trade counter / warehouse units totalling 12,937 sq ft.
To the first floor of the original building are 12 self-contained office studios which have recently been renovated and modernised. 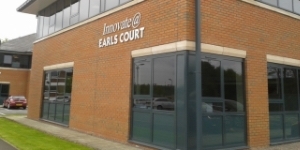 Industrial units range from 585 sq ft up to 5,625 sq ft, whilst the studio offices range in size from 103 sq ft (1 person) up to 1,250 sq ft (16 persons). Suites can be combined subject to availability. Externally the estate benefits from a good car parking provision with communal circulation space. The estate is fully fenced with secure gated access across the front entrance to the estate. The EPC ratings on the available units range from B47 - E116. Copies of individual EPC's are available on request.